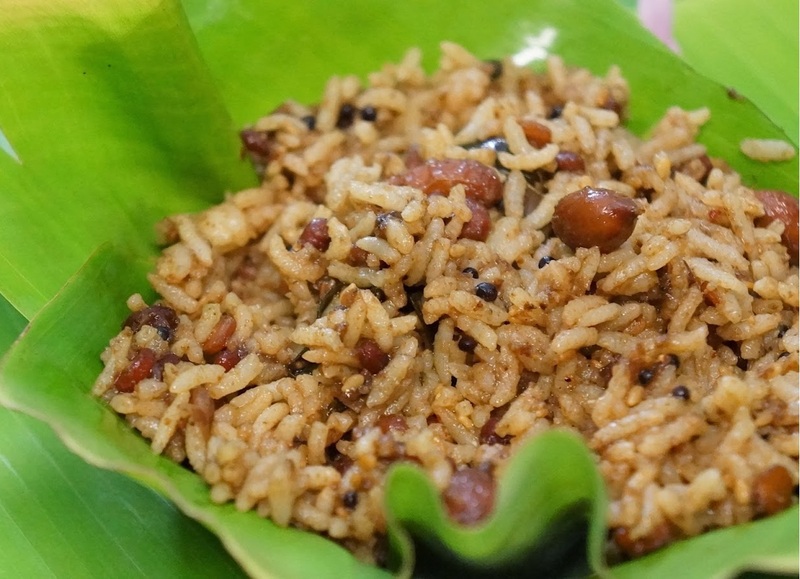 Puliyogare: Puliyogare or Puliyodharai or tamarind rice is a South Indian rice preparation typically eaten as a snack, as part of most south Indian festival luncheons and dinners, and as prasadam in temples. . Puliyogare hails its origins from Karnataka. The tamarind paste is the essence of how a Puliyogare is created. Dry roast mustard seeds, coriander seeds and sesame seeds in a non-stick pan. Add in the whole red chillies and asafoetida. Roast till the red chillies are lightly coloured. Cool and grind to a powder to make puliyogare powder. Heat the 2 tbsp oil in a deep non-stick pan. Add in the mustard seeds, red chillies, split bengal gram and peanuts. Dilute tamarind paste in 1/4 cup water. Add curry leaves and tamarind water to the pan. When the mixture comes to a boil, add jaggery and red chilli powder. Cook on medium heat till the raw smells disappear and the mixture thickens. Add 1 1/2 tsp puliyogare powder. Mix gently till the rice gets heated through. Season the puliyogare with salt. Drizzle 1 tbsp sesame oil. 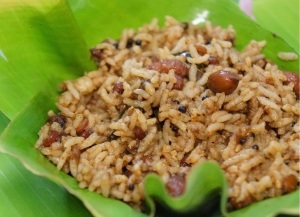 Puliyogare is ready to be served. If you have any queries regarding the Puliyogare recipe, please leave a comment.